In the city centre of Switzerland’s capital, Bern, visitors can wander the same cobbled streets as those walked by Albert Einstein in the early 1900s. The medieval Old City, a UNESCO site, is pristinely preserved and buzzing with bars and live music on any given night. Those staying in Geneva can drop by the birthplace of philosopher Jean-Jacques Rousseau, who returned during the height of the French Revolution to set some of his major works in ink. Visiting the alpine resort of Davos, high in the Swiss Alps, one can take in the same views that inspired Nobel laureate Thomas Mann to pen his classic text The Magic Mountain. Going back centuries, the country’s alpine air and stunning natural geography have provided fertile ground for new ideas and fresh thinking, while its stable political environment has ensured it has always been viewed as a neutral meeting point. Nestled in the heart of Europe and home to the most beautiful of alpine skylines, Switzerland is a country with natural surroundings that create a unique sense of serenity. Its scenery flourishes in every season, with 51 peaks higher than 4,000 metres, 1,484 lakes and 32,000 acres of forest. What’s more, its diverse natural geography is such that it is possible to visit a glacier within two hours of sitting under palm trees and enjoying the sun. From authentic mountain chalets and renowned grand Swiss hotels to medieval castles and state-of-the-art congress centres, there is a wide range of activities available to visitors wishing to take in the country’s natural and cultural treasures. Even those travelling for business can experience what Switzerland has to offer. 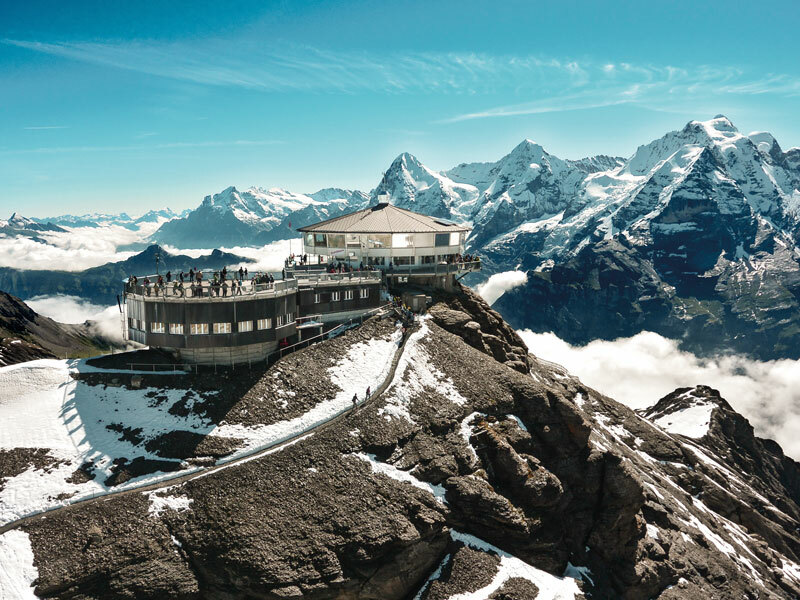 Many take the opportunity to make the most of the clean alpine air and stunning mountain views by ascending one of the country’s snowy peaks and enjoying a drink in the Ice Palace of Jungfraujoch. Sitting more than three kilometres above sea level, the palace provides a base from which guests can view the stunning mountain and glacier landscape. It is also possible to organise a husky sled ride, with trained husky experts on hand to help teams set up and navigate a trail through the snow. Not only is Switzerland known for being one of the world’s most hospitable nations, its appeal also derives from the fact that its 8.3 million inhabitants share four languages and cultures. Deriving from its history as a confederation of states, its four official languages of German, French, Romansh and Italian each hold equal status. As a result, Swiss culture is famed for its diversity, which is reflected in its welcoming culture and varied cuisine. This culture can be enjoyed at culinary events such as a chocolate course in Bern, where admirers of Swiss chocolate can learn the traditional techniques of filling, sealing and decorating. Another option is the Voyage Culinaire in Basel, which combines sightseeing with wine and culinary treats. Budding sommeliers can attend team events in the terraced vineyards of the UNESCO Lavaux region, the source of Switzerland’s Grand cru in wine. Of course, fondue – the Swiss national dish since the 1930s – is easily available across the country, and provides the perfect winter comfort. Switzerland’s historical imprint, geographic wonders and modern facilities have combined to make the country an increasingly popular location for conventions and meetings. As well as being the home to the World Economic Forum – perhaps the most famous summit in the world – it has also hosted some of the most noteworthy conventions and meetings on technology, finance and business. Alongside the appeal of the destination itself, its popularity among businesspeople is in part due to the remarkable ease of travel. There are five airports, two of which are international hubs, which combine with the most integrated public transportation network in Europe. The result is that one can be whisked to any destination in the country: no matter where you are, there is always a bus, train or even a boat that will bring you to your destination. While it has long been an established location for conventions, Switzerland’s appeal is continuing to grow. According to the International Congress and Convention Association, Switzerland’s global ranking in terms of the number of annual meetings it hosts has been on the up. It is now ranked in the top 20 countries worldwide despite its small size and population, the latter of which is smaller than that of London. The Switzerland Convention and Incentive Bureau (SCIB) has also experienced increased visitor numbers. Despite the fact that Brexit and an unsecure exchange rate have dampened interest for some, 2017 was a remarkably successful year for the bureau, with confirmed business up by over 30 percent from the previous year. 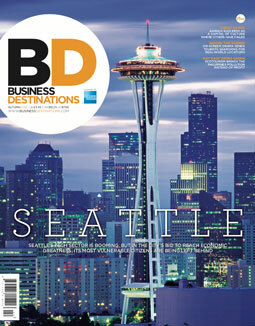 On top of this, the bureau’s clients often comment on the efficiency and reliability of the destination. The SCIB is also making life easier for those planning events in Switzerland. Staff at the SCIB office, which is based in London, are on hand to offer impartial assistance in the planning of any event, and always react quickly to enquiries from event planners. Unlike other bureaus, the SCIB’s services are free: in fact, assistance in the planning of any type of event is without any obligation or cost. As the oldest conference bureau in Switzerland, the SCIB has a high level of expertise and can provide useful advice across the board, from venue and destination recommendations to the provision of contact details and assistance with site inspection. Notably, the fact that site inspections are free of charge makes it easier for event planners, as they can get a first impression of Switzerland without putting any money down. An added bonus is that, with travel and accommodation covered, this financial support makes the stay more relaxed and enjoyable. The SCIB has also been working to fine-tune the formulae and components that combine to create interesting and engaging conferences. It has created a dedicated blog about the science of great meetings, as well as a series of social media initiatives that include regular information, interviews and case studies. While event professionals often focus on big topics like venue hire, booking speakers and budget decisions, the bureau can also provide insight into the finer details that add up to make an event memorable. Ultimately, the bureau provides the all-important case-by-case support that makes all the difference when it comes achieving a successful event.